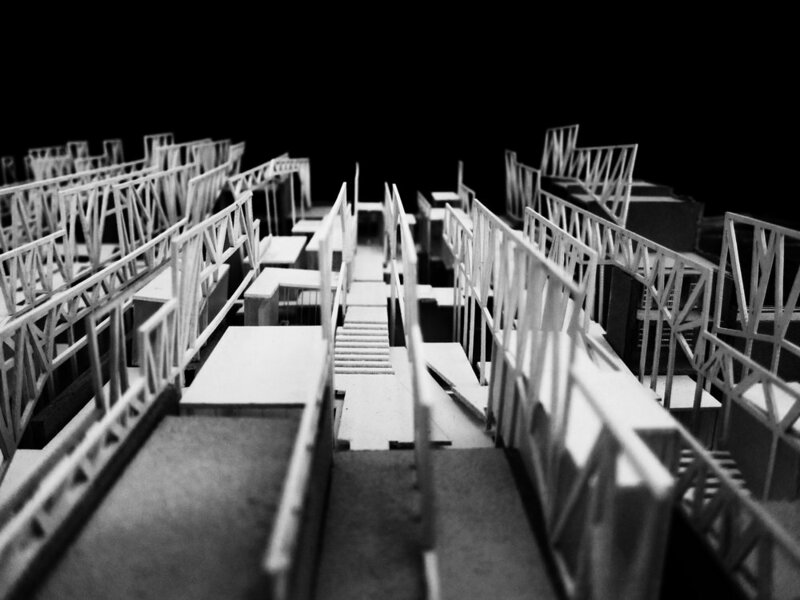 A sample of projects completed at Pratt Institute. 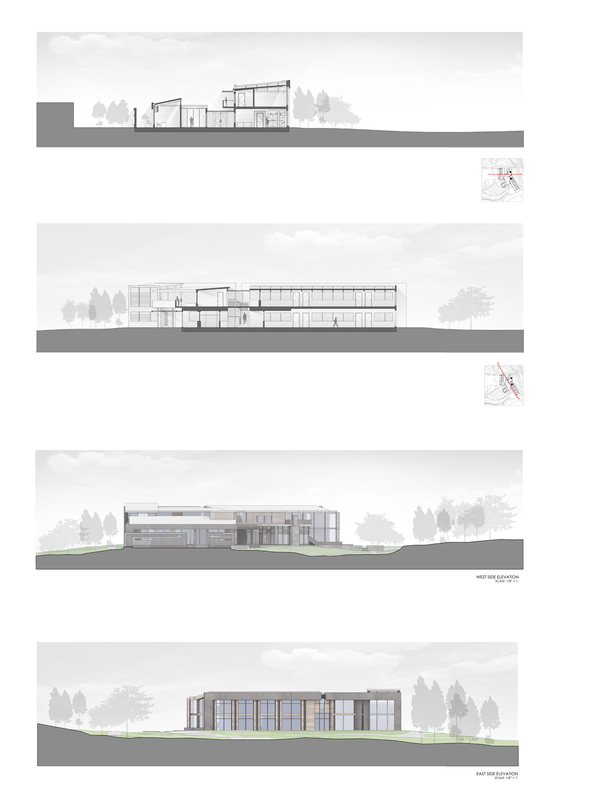 This project is designed to occupy a site within the prestigious Eaglebrook Middle School campus. 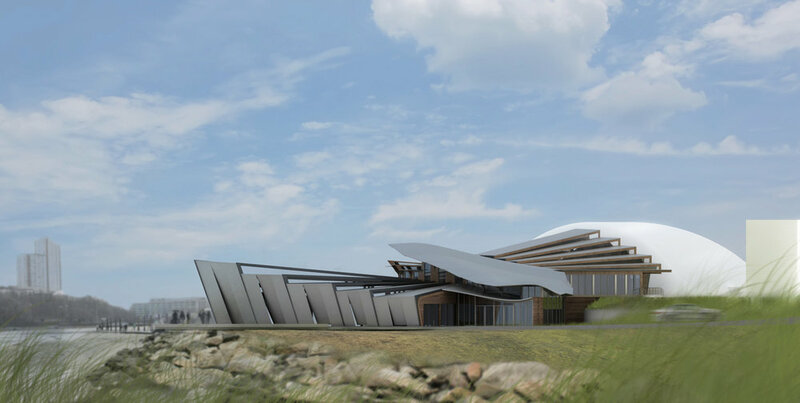 The proposed administration building highlights exquisite views, and provides clear circulation and spaces for staff, students, and parents. The design seeks harmony with existing buildings on the campus, and enhances the experience of working with applicants and their families. 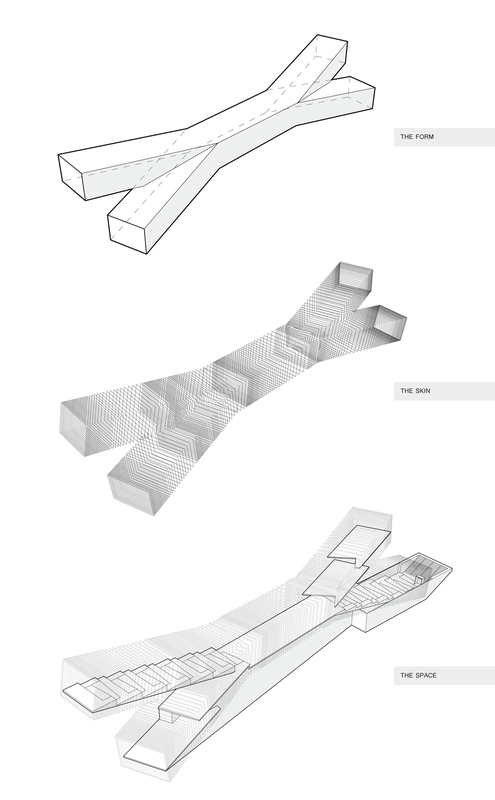 This project sets out to create the unfamiliar with the familiar, offering a new logic and order that is not visually apparent but intuitively negotiated. The art collective is located in Bushwick, designed to physically represent the virtual collective already in existence. 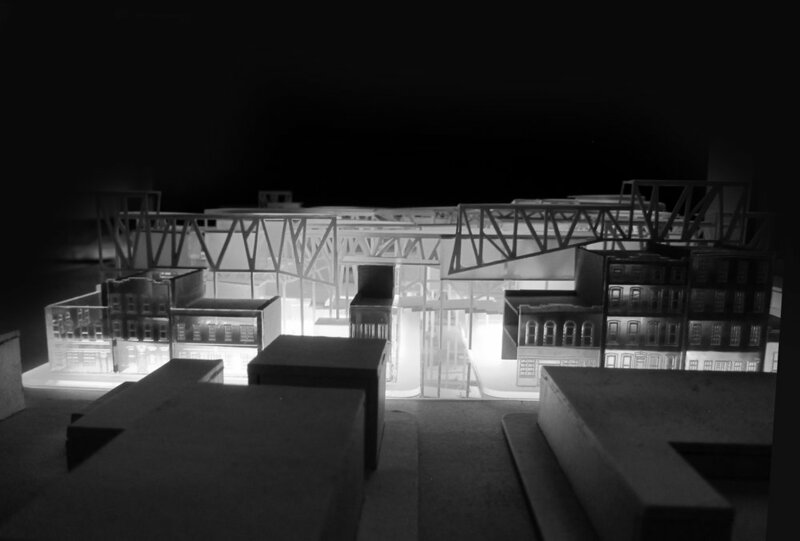 It is also a response to the New Whitney Museum being built in the Chelsea Gallery District. 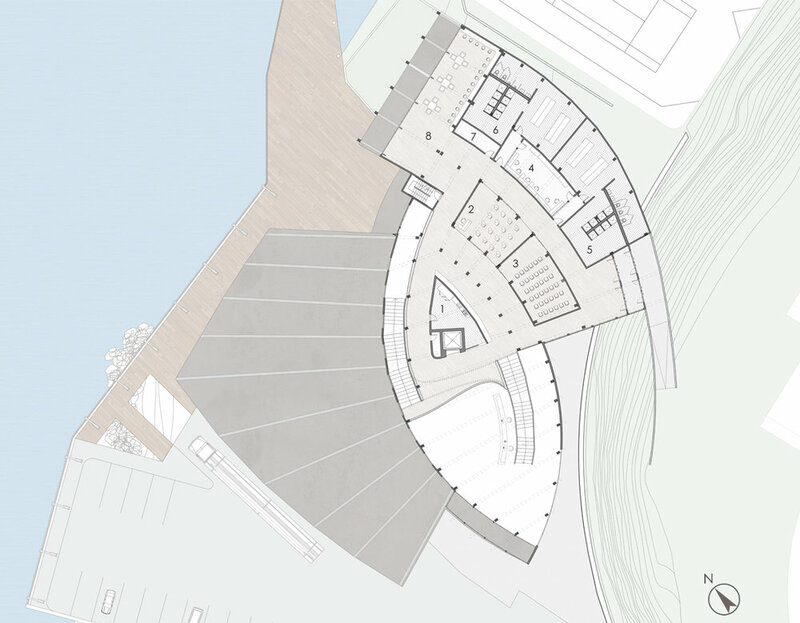 The proposed project offers storage, training, and gathering space for the Columbia University rowing team and community located on the Harlem River bank. The design borrows its form from various motions of water, which are referred to as “water effects.”The building was designed to accommodate 60ft - 40ft rowing skulls, which can be easily transported to the existing dock structure. Cantina Valpolicella Negrar produces some of the most prestigious classical wine labels in the world. In order to crown this excellence, the winery’s board of directors was seeking a design proposal able to match up to the prestige of its brand. 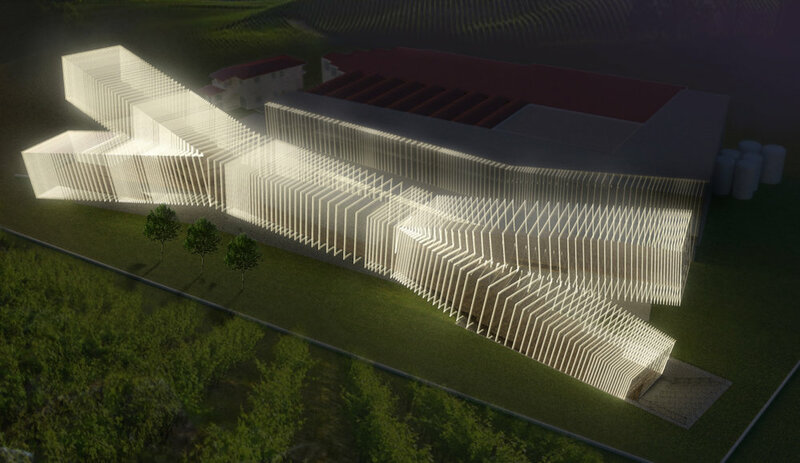 The proposed project rethinks the “winery” under a contemporary perspective, transforming it from a simple storehouse / production facility into a catalyst for culture, tourism and research. The splice is a biological manipulation, a grafting of two different wine stocks to create a phylloxera-resistant strain of grape vine. 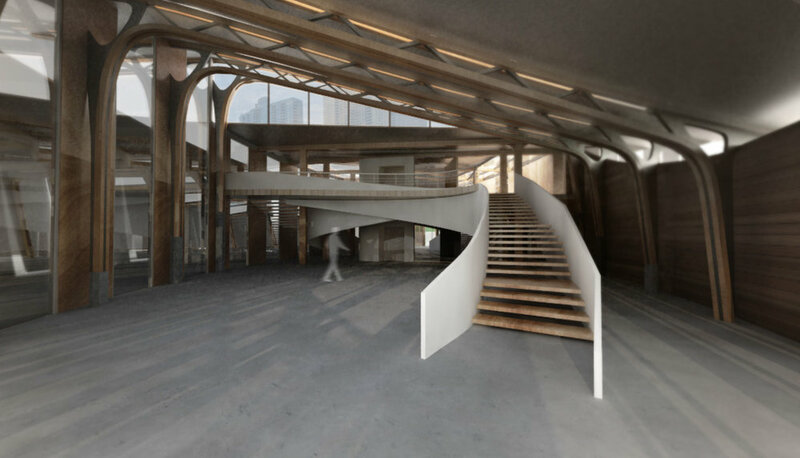 The proposed building form echoes the spliced vine, as analogous to the act which has preserved the stock of European wine.